A Boutique Museo Inn Hotel, built in 1873 in Guatemala City opened in1973, furnished with antiques, art and great food, sourronded by historic buildings and museums, centrally located and safe. Conveniently located three blocks away from Guatemala International Airport. 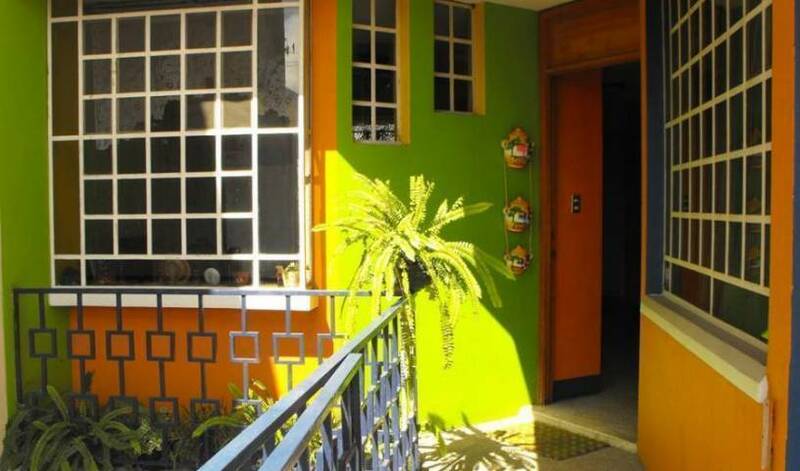 Los Lagos Hostel, your home away from home, is your best alternative for low budget travelers in Guatemala City. Private room with 1 double bed, Tv., Wi-fi, private Bathroom. Room with a Queen bed, Balcony and mountain view. Private Bathroom, Tv, Wi-fi. 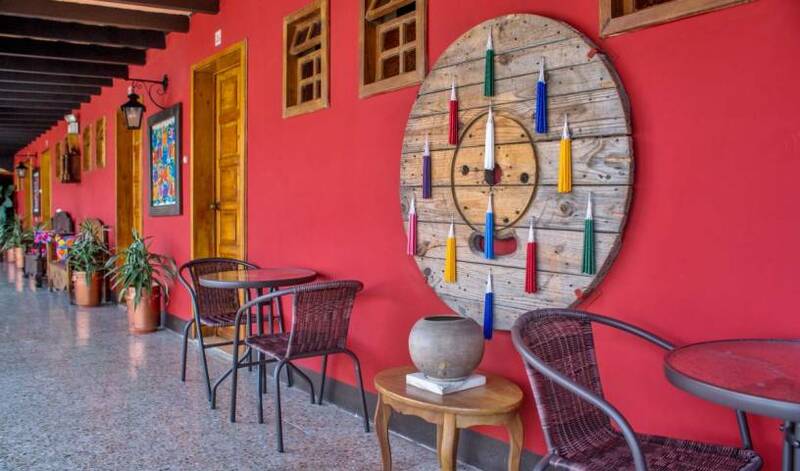 Guatefriends Guest house, located in one of the premier areas of Guatemala City is the perfect example of traditional Guatemalan atmosphere. A B&B, strategically located close to the international Airport, with single double and triple private rooms, with all the modern confort. Room with 2 double beds, private bath, cable TV, kitchenette, refrigerator, ceiling fan and a private patio or balcony. Room with 2 double beds & 1 single bed, private bath, cable TV, kitchenette, refrigerator, ceiling fan and a private patio or balcony. Room with 2 double beds & 2 single beds, private bath, cable TV, kitchenette, refrigerator, ceiling fan and a private patio or balcony. 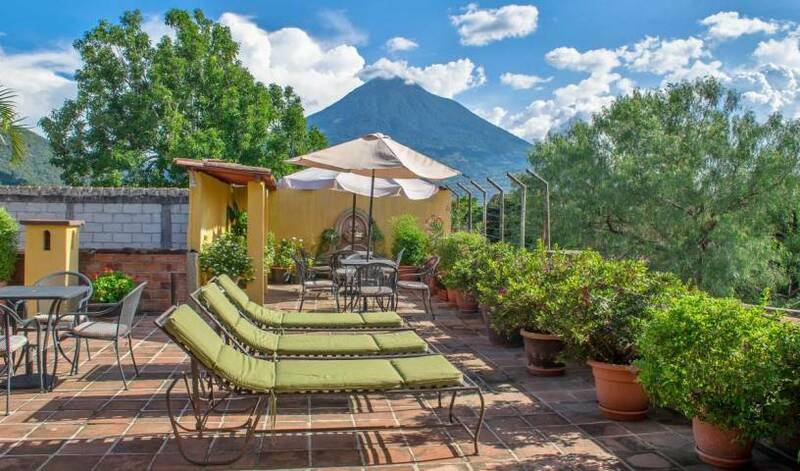 Hotel Las Camelias Inn is a beautiful hotel in Antigua Guatemala. We offer everything to make your stay in Antigua as comfortable as possible, whether you want to explore the city or just relax on our beautiful terraces. Room for 1 or 2 people with 1 double bed. It has a private bath, a fan, secure lock box, desk & chair, flat screen TV with cable & Wi-Fi signal. Room for 2 people with 1 double & 1 single bed, or 2 double beds. It has a private bath, a fan, secure lock box, desk & chair, flat screen TV with cable & Wi-Fi signal. Room for 3 people with 3 beds. It has a private bath, a fan, secure lock box, desk & chair, flat screen TV with cable & Wi-Fi signal. Room for 4 people with 3 big beds. It has a private bath, a fan, secure lock box, desk & chair, flat screen TV with cable & Wi-Fi signal. Hotel with pool, jacuzzi, safe and charm! 4-star hotel / B&B, only a few steps from central park, best location & close to everything. Nice quiet up-scale hotel with free Wi-Fi internet, large heated Swimming Pool, Sauna, Travel desk, helpful bilingual staff & beautiful views. Double room with either 1 Queen bed or 2 double beds. It has a fan, secure lock box, a desk & chair, cable TV & Wi-Fi signal. Triple room with either 2 large beds or 3 separate beds. It has a fan, secure lock box, a desk & chair, cable TV & Wi-Fi signal. Depending on availability, this room can be either on the 1st or 2nd floor. Quad room with 1 Queen/King bed & 2 single beds. It has a fan, secure lock box, a desk & chair, cable TV & Wi-Fi signal. Depending on availability, this room can be either on the 1st or 2nd floor. Single room with 1 Queen bed. It has a fan, secure lock box, a desk & chair, cable TV & Wi-Fi signal. Depending on availability, this room can be either on the 1st or 2nd floor. Room for 2 people with either 2 double beds or 1 large queen bed with private bath, cable TV & garden view. It has a fan, secure lock box, desk & chair, flat screen cable TV & Wi-Fi signal. Room for 3 people with either 2 large beds or 3 separate beds with private bath, cable TV & garden view. It has a fan, secure lock box, desk & chair, flat screen cable TV & Wi-Fi signal. very large room for a family or friends, of up to 5 people within the beds in this room. It has 3 large beds with private bath, cable TV & garden view. If needed, we can maybe put 1 additional bed in the room. Above 5 people, there will be $10 per person extra per night. It has a fan, secure lock box, desk & chair, flat screen cable TV & Wi-Fi signal. 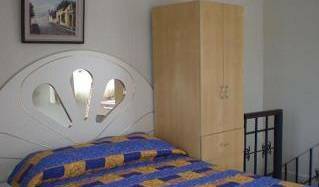 Room for 1 person with either 1 double bed or 1 queen bed with private bath, cable TV & garden view. It has a fan, secure lock box, desk & chair, flat screen cable TV & Wi-Fi signal. Room with 2 beds, either 2 single beds or 1 double & 1 single bed with private bath, cable TV & garden view. It has a fan, secure lock box, cable TV & Wi-Fi signal. Room with either 2 double beds or 1 large bed & 1 small bed with private bath, cable TV & garden view. It has a fan, secure lock box, desk & chair, cable TV & Wi-Fi signal. Room with 3 beds, normally 1 double bed & 2 single beds with private bath, cable TV & garden view. It has a fan, secure lock box, desk & chair, cable TV & Wi-Fi signal. Quad (either 3 large beds or 4 separate beds) with private bath, cable TV & garden view. It has a fan, secure lock box, desk & chair, cable TV & Wi-Fi signal. Charming Hotel offering breakfast in a beautiful quiet area just 3 blocks south of Antigua's central park. Free on-site Parking, Large property with lots of Garden areas, Wi-Fi, Pet Friendly, Rooftop Terrace, Travel Agency and a Hotel Parrot named Paco. Room with either 1 double bed or 1 double & 1 single bed, private bath, cable TV and a garden view. Room with either 1 double & 1 single bed or 2 double beds, private bath, cable TV and a garden view. Room with either 3 beds or 2 double beds, private bath, cable TV and a garden view. Room with 3 beds, private bath, cable TV and a garden view. Great hostel 1 blk from Antigua's Parque Central. Private & dorm rooms w/private bath in the room, cable TV & free Wi-Fi. Pet friendly, Rooftop terrace w/views, kitchen to use, lockers. 1 bed in a dorm room of 12 beds, with 2 private baths in the room. It has a fan, secure locker for each bed, cable TV & Wi-Fi signal. Double room (1 or 2 people) with 1 double bed, private bath & cable TV. It has a fan, secure lock box, cable TV & Wi-Fi signal. Double (1 double & 1 single bed) with shared bath & cable TV. It has a fan, secure lock box, cable TV & Wi-Fi signal. Triple (either 1 double & 1 single bed or 3 separate beds) with private bath & cable TV. It has a fan, secure lock box, cable TV & Wi-Fi signal. Double (either 2 small beds or 1 double & 1 single bed) with private bath & cable TV. It has a fan, secure lock box, cable TV & Wi-Fi signal. Double (1 double bed) or (1 double & 1 single bed) with private bath & cable TV. It has a fan, secure lock box, cable TV & Wi-Fi signal. Quad (1 double & 2 single beds) with shared bath & cable TV. It has a fan, secure lock box, cable TV & Wi-Fi signal. Quad (3 double beds) with private bath & cable TV. It has a fan, secure lock box, cable TV & Wi-Fi signal. 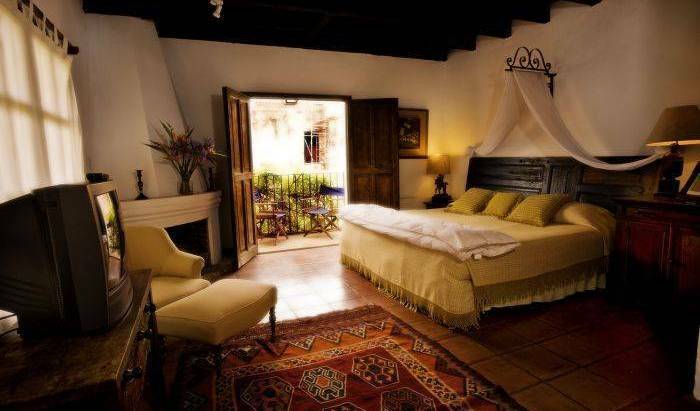 Wonderful 4-star hotel / B&B at a budget price, 2 blks from central park on the famous Arch St. in Antigua Guatemala. 10 beautiful rooms with DVD, TV & Wi-Fi. Bathrooms (some w/Jacuzzi tubs) are relaxing. Garden & terraces are breathtaking. Double standard room for 1 or 2 people, with 1 large bed & 1 small bed. The bathroom has a large shower. It has a fan, secure lock box, desk & chair, cable TV, DVD player & Wi-Fi signal. Double suite room for 1 or 2 people, with either 1 large bed or 1 large bed & 1 small bed. The bathroom has a large shower & jacuzzi tub. It has a fan, secure lock box, desk & chair, cable TV, DVD player & Wi-Fi signal. Triple standard room for up to 3 people, with 1 large bed & 1 small bed. The bathroom has a large shower. It has a fan, secure lock box, desk & chair, cable TV, DVD player & Wi-Fi signal. 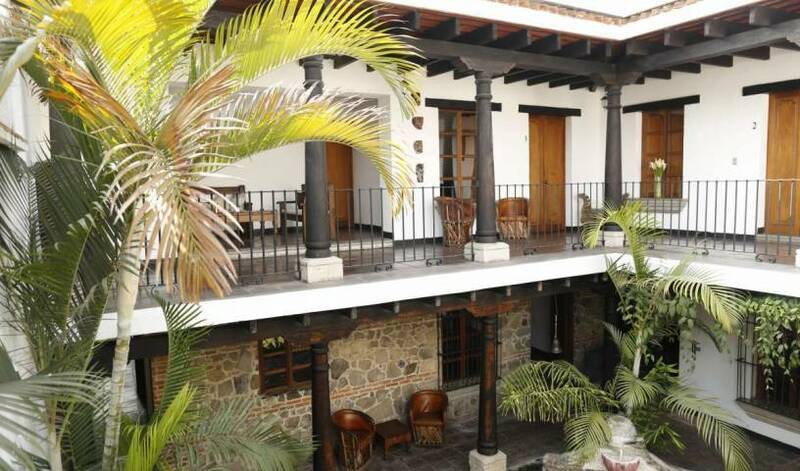 Posada San Vicente is a beautiful budget hotel in Antigua Guatemala. We offer everything that you could need during your stay in Antigua. Our goal is to make your stay as comfortable as possible, whether you want to explore the city or just relax. This room is for 2 people. It has 2 beds. It has a private bath, a fan, secure lock box, desk & chair, cable TV & Wi-Fi signal. This room is for 2 people. It has either 1 double bed or 1 double & 1 single bed. It has a private bath, a fan, secure lock box, desk & chair, cable TV & Wi-Fi signal. This room is for 3 people. It has 1 double bed & 2 single beds or 3 single beds. It has a private bath, a fan, secure lock box, desk & chair, cable TV & Wi-Fi signal. This room is for 4 people. It has 2 double beds & 1 single bed. It has a private bath, a fan, secure lock box, desk & chair, cable TV & Wi-Fi signal. This room is for 1 person. It has either 1 double bed or 2 single beds. It has a private bath, a fan, secure lock box, desk & chair, cable TV & Wi-Fi signal. Double room for 1 or 2 people, 1 double bed, with private bath & cable TV. It has a fan, secure lock box, cable TV & Wi-Fi signal is available in the common areas. Double room, 1 double & 1 single bed, , with private bath & cable TV. It has a fan, secure lock box, cable TV & Wi-Fi signal is available in the common areas. Triple room, either 1 double & 1 single bed or 3 separate beds, , with private bath & cable TV. It has a fan, secure lock box, cable TV & Wi-Fi signal is available in the common areas. Quad room, either 3 or 4 double beds, , with private bath & cable TV. It has a fan, secure lock box, cable TV & Wi-Fi signal is available in the common areas.